This morning Brian and I traveled to Dallas to watch one of Brian's coworkers race in the Big D Dallas Marathon. The race started around 8 and the temperature was near 50. It turned out to be a great chance to get some good pictures. 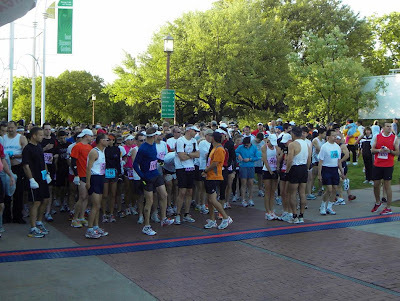 You can find the results for the marathon and half marathon for Big D Texas Marathon here. I caught a picture of the winner on the course at about the 4 mile marker. I will post it tomorrow. The start of the race was at Fair Park. I do not know how many runners there were for the marathon and half marathon but the runners kept going past. Click the HD button on the lower right to watch the video in HiDef, or click on the video to go to You Tube to watch a larger version in HD.